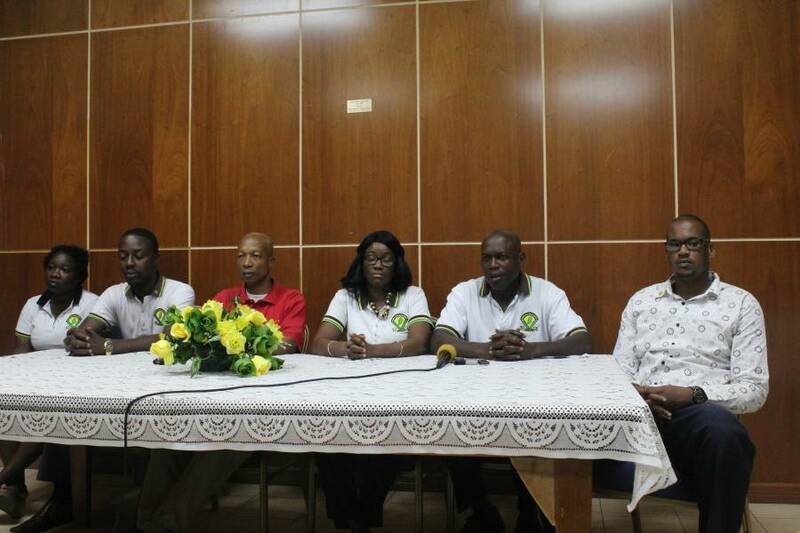 The negotiating teams of the Public Workers Union (PWU) and the Grenada Technical and Allied Workers Union (TAWU), held a press briefing Friday, 13 October 2017, to collectively inform the media of industrial actions to be taken by their members. The government’s negotiating team along with the Minister for Labour, Hon Oliver Joseph have proposed an additional $50 to their previous offer of $600 for the one-off payment owed to public officers. President of the PWU Rachael Roberts, addressed the matter at hand, as she said, “we are now at the juncture where the flame has been set, and, we are now at a juncture where our members have given the mandate,” and as trades unions, they must answer the calls of the membership. She blatantly stated that they ‘shall not accept that the sacrifices of our membership and the more remains at 650.’ According to Roberts, the unions shall ensure that their members are treated with justice, and they hope that this sends a message to their employers to do what is right. Both unions have made it quite clear that they know what has to be done and remain open to resolving this issue. However, justice needs to be done. Depending on the actions or inaction of the government, on Monday, the unions will announce their next move. President Roberts told the media to stay tuned. “The government knows what it has to do and so does the union. She also used the opportunity to confirm that the deplorable health situation at the Ministerial Complex continues to plague workers. The environment at the complex is not conducive for a productive workforce, as workers are coming down with different illnesses. In addition to the one-off payment and the health situation, there are some other issues such as pension payments and regularisation of officers that need to be addressed by the government. Hopefully, the industrial action taken by the unions will send a clear-cut message to the government.